"I have bought Audioengine A5+ Wireless speakers for my Windows computer. Is it possible to transform my Apple Music to WAV lossless format so that to get the best output sound quality?" WAV, also known as waveform audio file format, is a Microsoft and IBM audio file format standard for storing audio bit streams on Windows PCs. It is similar to 8SVX and AIFF formats which are used for Mac computers.The bit rate it has is 1411Kbps. You can enjoy the WAV music with lossless CD quality. If you have Hifi speakers, WAV is one of the best music formats. 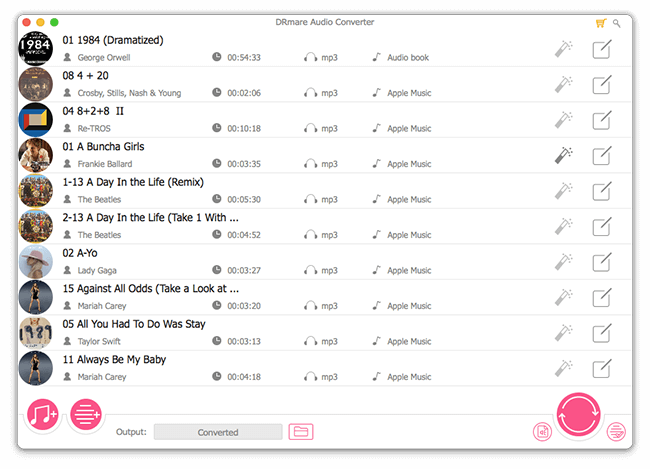 For your convenience, here I will offer all the tips on how to convert Apple Music M4P songs to WAV. Music converting is not a complicated job. There are many free converters supports to convert to WAV. 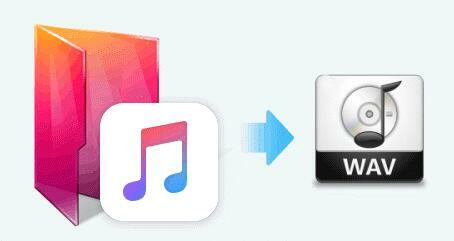 Take iTunes for example, normally you just need to go to the iTunes preferences window to change the import settings as "WAV Encoder", then you can click "File" > "Convert" to choose to convert to WAV files. But that is not the case for Apple Music which is DRM encrypted. In order to convert protected M4P files, you need to remove DRM from M4P first. This sounds complicated, is it right? Not really. 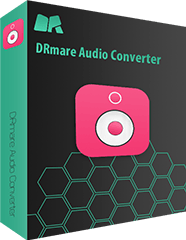 As long as you have the well-polished iTunes DRM Audio Converter from DRmare, it will be just a breeze. 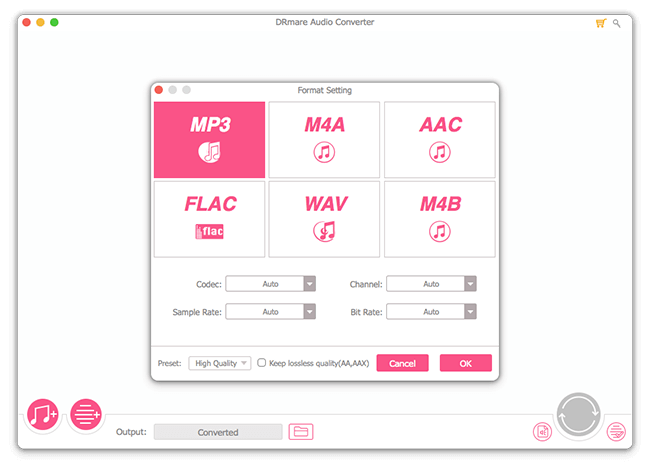 It is an all-in-one software which can help you remove DRM and convert the audio format simultaneously. The interface is easy to follow so it won't be a pain to use it even if you are a green user. Still not sure how to use it? No worries, please just click the "Download" button to install the trial version. And then follow me to go through the steps one by one. After installing, you just need to click the software shortcut icon on the desktop. You will see the DRmare software main screen and iTunes software. In order to convert the music files, you need to make sure the M4P files are downloaded completely and played well offline on your computer. After that, you can drag & drop the music files from iTunes to DRmare main screen. Next, you can click the small icon from the bottom right, then it will pop up a window for you to select the format, codec, channel, sample rate, bit rate and so on. Here please select the WAV format. Other parameters will be automatically set. At last, you can click the red "Convert" button to start converting. WAV is a lossless format without compression. Usually it will be converted much faster than any other formats. By the way, WAV also has a big disadvantage that the output file is big. So please make sure you have a big enough hard drive on your computer too. The default tool to play WAV files on Windows computer is Windows Media Player. It has lots of features such as managing media library, importing media files. It is cable of playing WAV music but it runs kind of slow. If you want a lightweight media player which supports WAV, you can take a look at the following list. It is one of the most popular free WAV players which supports to play WAV on Windows, Mac, iOS, Android. And it has the features music visualization, playlist creation and so on. VLC supports to play both video and audio files with different formats WAV, FLAC, MP4, MP3, VOB, MKV. 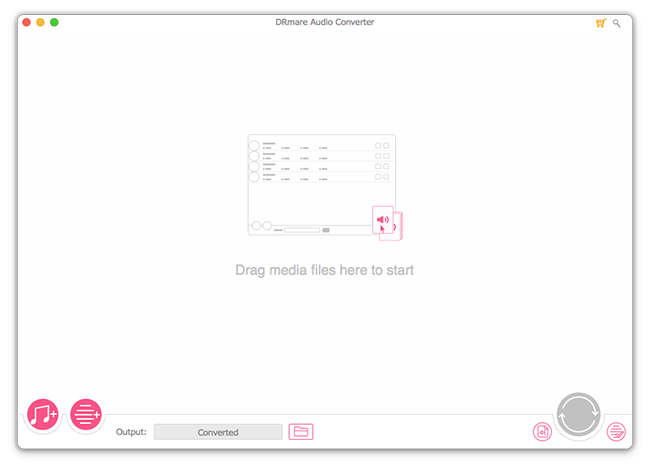 If you want to have a powerful player for all your digital media files, that is it. 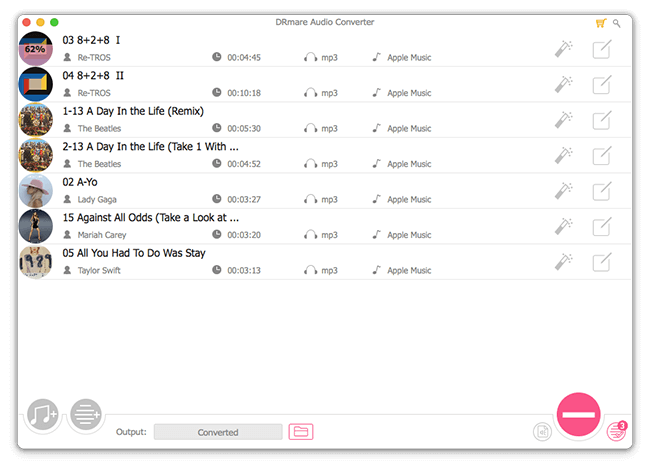 Do you want to listen to WAV music on your Mac without installing extra software? If so, you can give iTunes a try. iTunes is an all-in-one tool for you to buy, download and play digital contents.